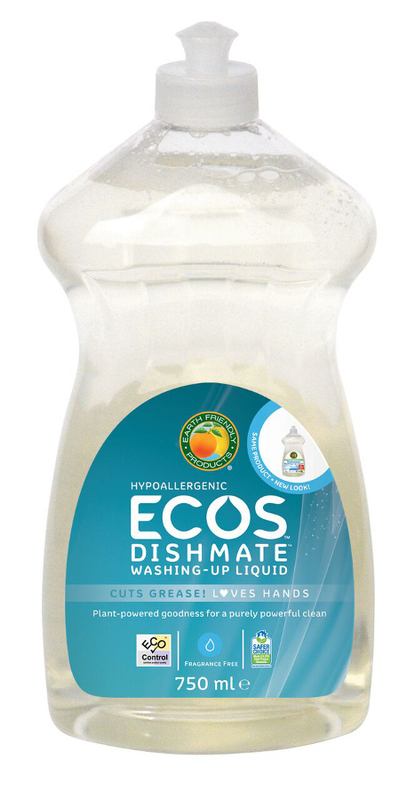 A fragrance free washing up liquid designed for those who may react to conventional washing up liquids or prefer to avoid fragrances or essential oils. 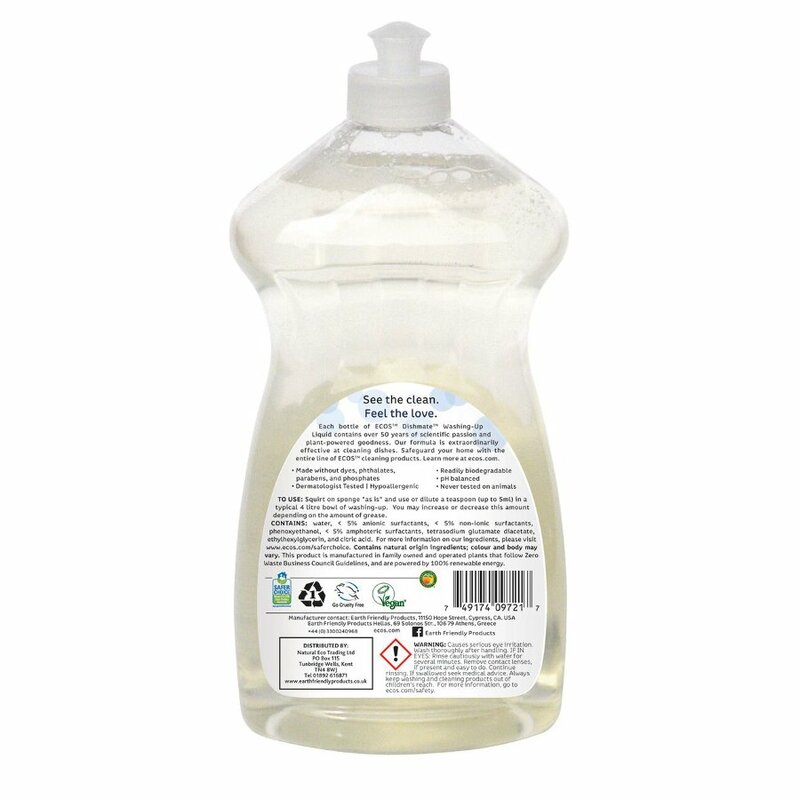 Based on GM-free plant ingredients, this eco-friendly washing up liquid has an ultra-concentrated formula that is effective on your pots, pans and dishes yet mild on sensitive skin. 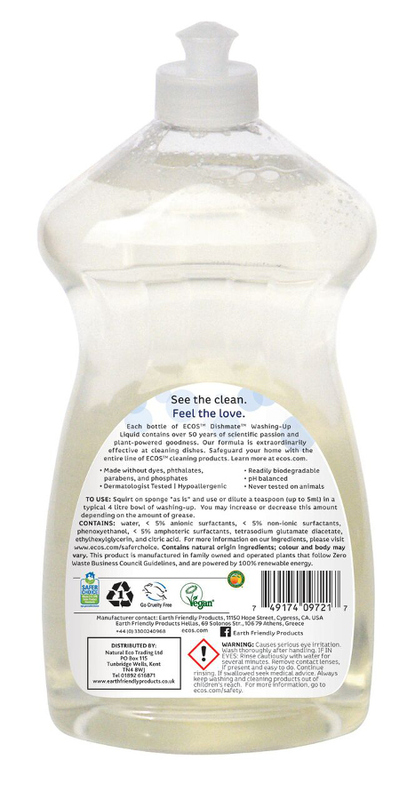 Providing brilliant cleaning without chemicals this washing up liquid is vegans and PETA approved (People for the Ethical treatment of Animals). water, < 5% anionic surfactants, < 5% non-ionic surfactants, phenoxyethanol, < 5% amphoteric surfactants, tetrasodium glutamate diacetate, ethylhexylglycerin, and citric acid. 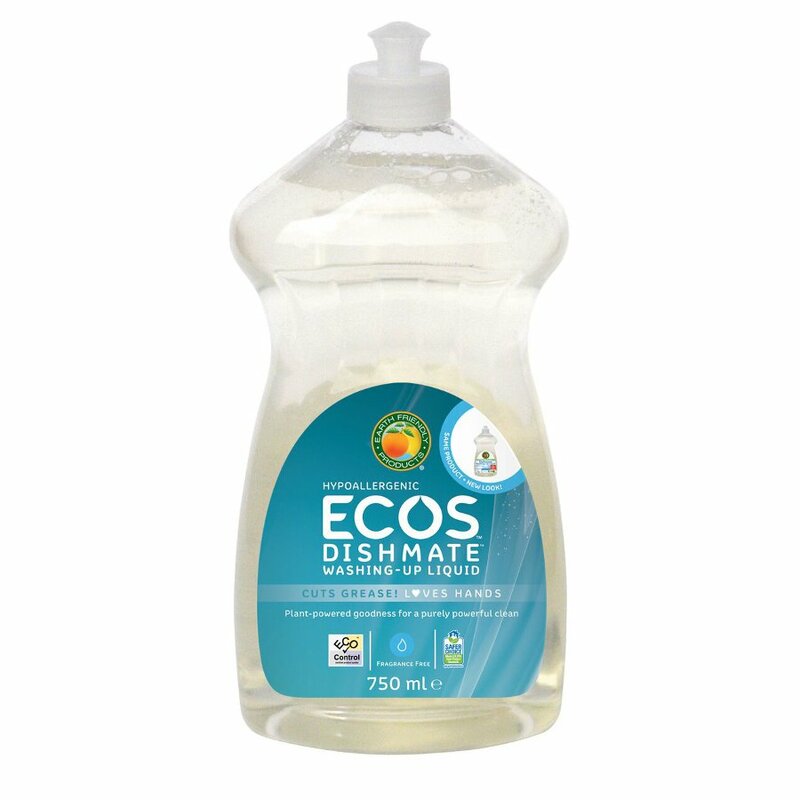 There are currently no questions to display about ECOS Dishmate Washing up Liquid - Fragrance Free - 750ml.